The garage is used by the whole family in so many ways like never before. You could even argue the garage is now “smarter” with wifi garage door openers, sprinkler controls, and surveillance cameras. Let’s take a look at the many ways you can improve your garage for everyone in the family. This article features the most comprehensive list of gift ideas for the garage and everything that goes in it. 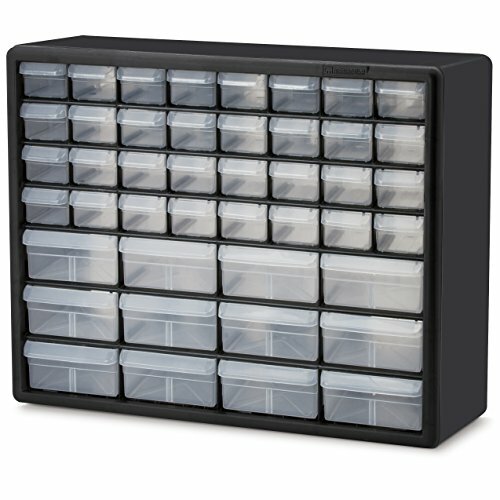 We feature products that help with storage and organization to automotive tools and car care. This list covers best selling products and all around great gift ideas for birthdays, anniversaries, Holidays, Mother's and Father's day, or the occasional good report card. We did the research so you don’t have to. Enjoy! Clear out that junk drawer once and for all with a multi-drawer storage cabinet. You will never know how handy these cabinets are until you start using one in your home. You can store batteries, nuts and bolts, arts and crafts, tape, electrical parts, tools, or assorted charging cables and adapters for smartphones. Whatever you decide, you will be more organized than ever before. If you wan't the ultimate household stepladder, look no further. 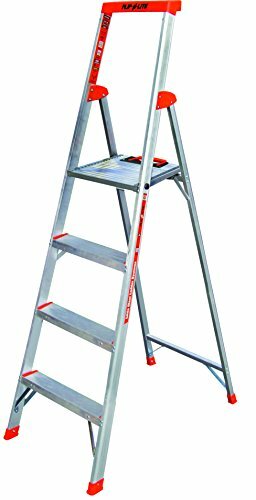 This super lightweight multi-purpose ladder features industrial-rated construction in a slim profile for easy transport and storage. The large comfortable standing platform provides stability at very convenient working heights. Available in three sizes. 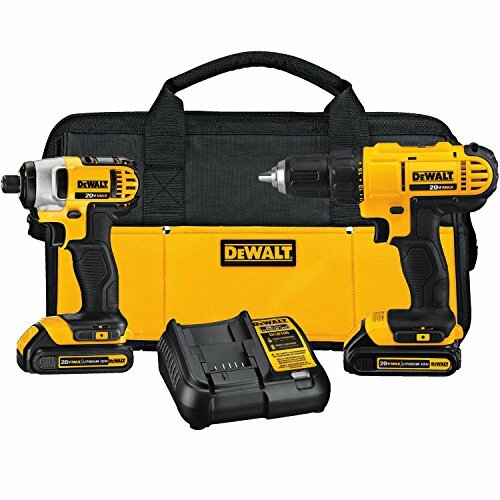 This kit is similar to the one above but with one addition... it includes a 20v drill with the impact driver we mentioned in the previous kit. The drill features two speeds which allows for high speed drilling when necessary. 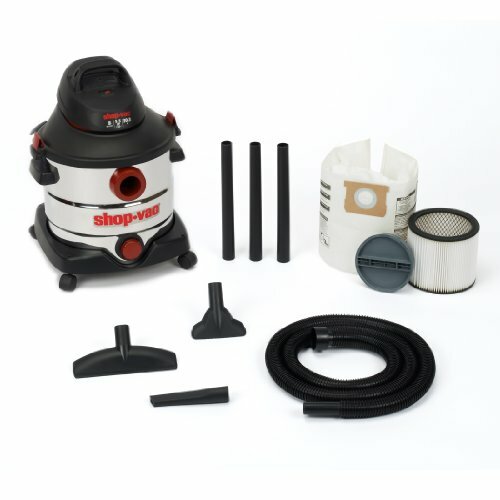 Both units are compact and lightweight and designed to be used in tight spaces. You can do it all with this kit. No garage is complete until you have an air compressor ready to go at a moments notice. Great for airing up tires on your car, lawn mower, or bicycle. Looking to do some trim work around the home? An air compressor combined with a finish or brad nailer makes this a snap. 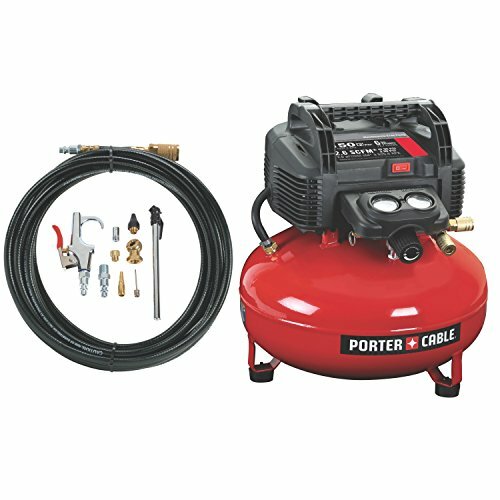 This popular Porter Cable Pancake Compressor is compact for easy placement and very stable due to the pancake style tank. A six gallon air capacity gives you plenty of reserve while the 2.6 SCFM makes for quick recovery time. Includes 13 piece accessory kit. 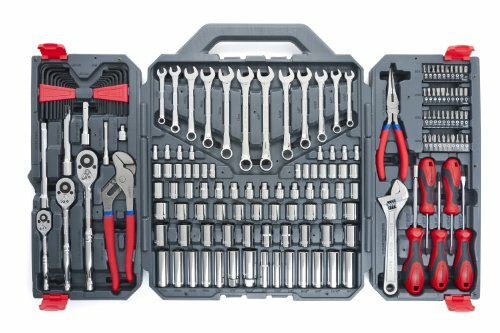 The Crescent 170-piece Tool Set offers everything one could need for the garage. The set includes 1/4", 3/8", and 1/2" drive tools in standard and metric sizes. Screwdrivers, pliers, wrenches, ratchets, and sockets are all included. Tools meet ANSI and ASME specifications for quality and come with a full satisfaction guarantee. The plastic folding case keeps all the tools secure for easy transport and storage. The Keter Folding Work Table is an engineering marvel. This table folds down to 4.4 inches for compact storage and opens back up fully assembled in less than one minute. 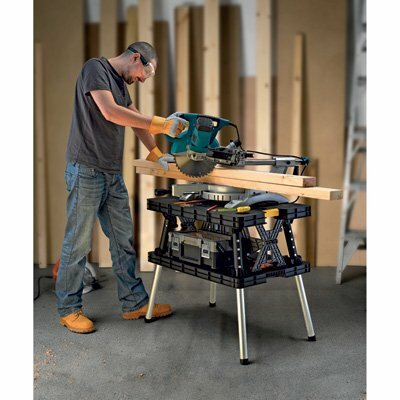 Two removable clamps are included for securing your project and the large flat top offers plenty of workspace with a weight limit of 1000 pounds. The table is made of resin that won't peel, rust, dent, or crack. 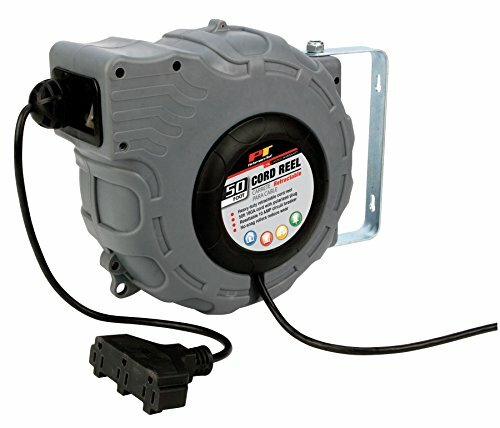 If you prefer the all in one retractable extension cord, this unit will come in handy. Three grounded outlets allow for versatility while the spring loaded auto-rewind ensure's proper return every time. You can easily mount to the ceiling, wall, floor, or workbench. A tire gauge is a must have in any garage. 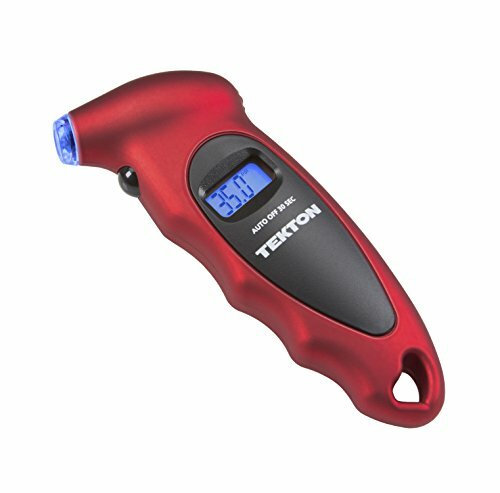 The Tekton Tire Gauge features a digital display that instantly shows the exact tire pressure eliminating guesswork found on analog gauges. The lighted nozzle and display screen is great for dark garages and the unit will automatically shut off after 30 seconds to save the batteries. 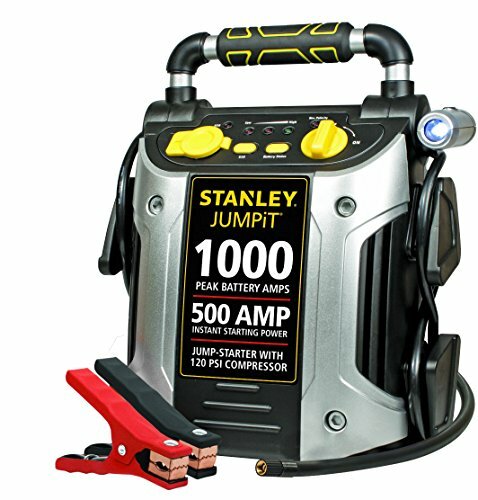 If you wake up to a dead car battery, the Stanley Jump Starter will help you out in a pinch. This unit features 500 instant starting amps and 1000 peak battery amps. It offers 12-volt and USB outlets to charge personal electronics and has a 120 PSI compressor with backlit gauge for airing up a low tire. This all-n-one emergency unit will really come in handy when the time is needed. If you know someone who struggles parking in the garage, this is the perfect gift. 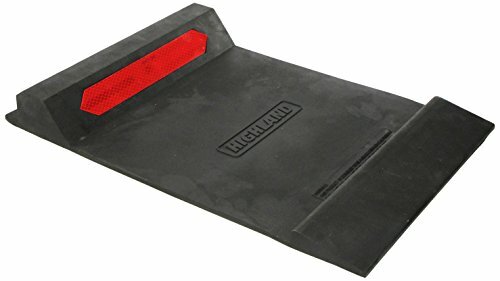 The Highland Parking Mat is designed to position the vehicle in the right spot every single time you pull into the garage. Made of durable recycled rubber, the ant-skid bottom keeps it from moving around and the universal design fits all cars, trucks, and SUV’s. 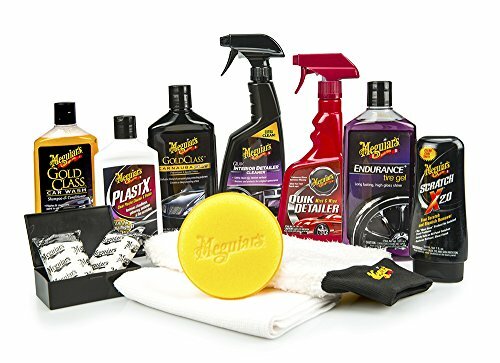 Make any car lover happy with the Meguiar’s Complete Car Care Kit. This 12-piece car care kit includes everything to keep your car maintained from the Gold Class Car Wash solution to the Endurance Tire Gel that provides a long-lasting, high gloss protection keeping tires black with a rich, dark gloss finish. Finish up with the Gold Class Carnauba Plus liquid wax to create a strong, long-lasting protection to preserve the paint finish. Foam applicator, supreme shine microfiber towel, and microfiber wash mitt included so the job gets done right. Tackle any mess in the garage or car with this powerful 8 gallon shop vac. With on board cord and tool storage, everything will be kept nice and tidy. The tank features easy to roll casters and the 5.5hp motor will handle clean up with no problem. The stainless steel exterior has a nice industrial look and helps keep the unit rust free. There is no better way to protect the stuff in your garage than with 24/7 live video and the Nest Cam is one of the most popular ways of doing this. This superb camera offers an 130 degree wide-angle all-glass lens that records in 1080p HD, day or night. The built in speaker and microphone allows for two-way talking through their app and phone alerts keep you updated when the Nest Cam detects activity. 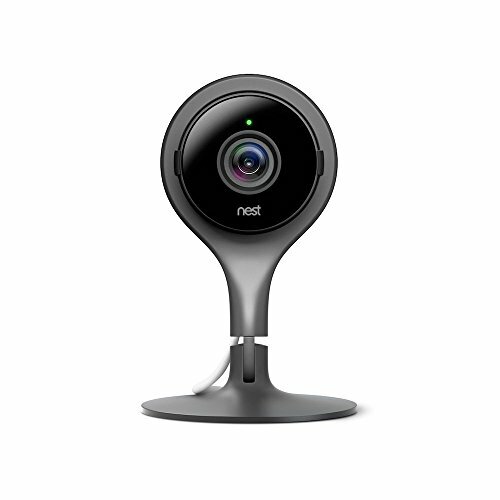 Setup is quick and easy through the downloaded Nest app and no hub is needed. 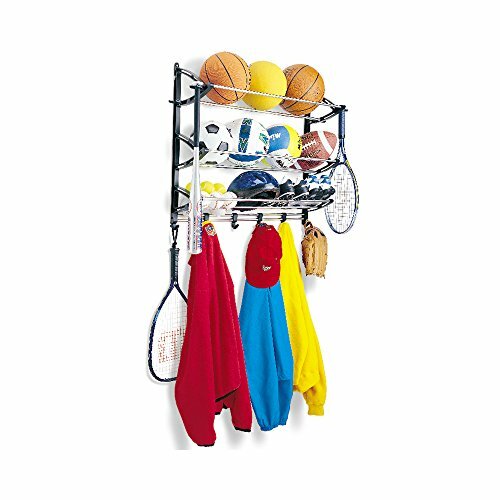 This sports rack will help your kids organize all their gear in one place. Specially designed hooks hold baseball bats and tennis rackets. Adjustable hooks help to maximize storage and the unit can be mounted to the wall with the included hardware. If you are planning to buy a garage door opener online, the brand we recommend is Chamberlain. They offer many different models to accommodate any customer. Chamberlain’s MyQ technology will allow you to open, close, and monitor your garage door from anywhere in the world with no monthly service fees to worry about. They are simple to assemble and accessories program very easily. 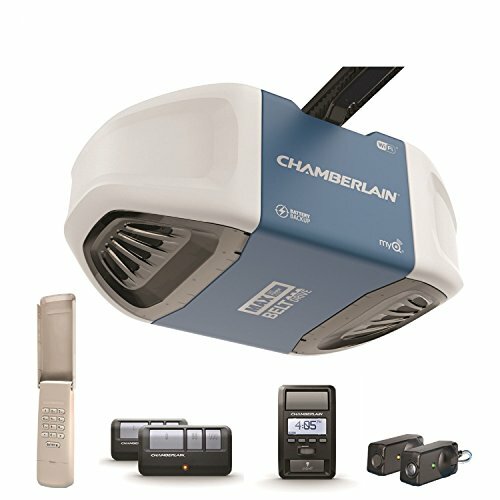 The Chamberlain B970 is a fully loaded smartphone controlled garage door opener that connects to your home Wi-Fi without the need for an additional accessory known as the MyQ Gateway. This unit comes with 2 remotes, wireless outdoor keypad, safety sensors, battery backup, and a LCD wall control with time, temperature, and diagnostics. The Wi-Fi built into the unit acts as the hub for all of your MyQ connected devices. If you like all the bells and whistles, this is the unit for you. That sums up our list of great gift ideas for the garage. Hopefully our recommendations help you find that perfect gift!